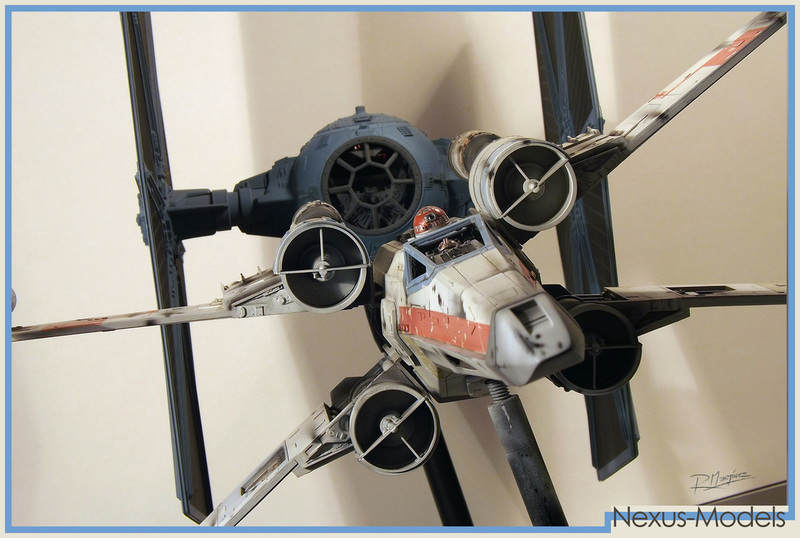 X-Wing Revisited RED-1 and Hasbro TIE Fighter. 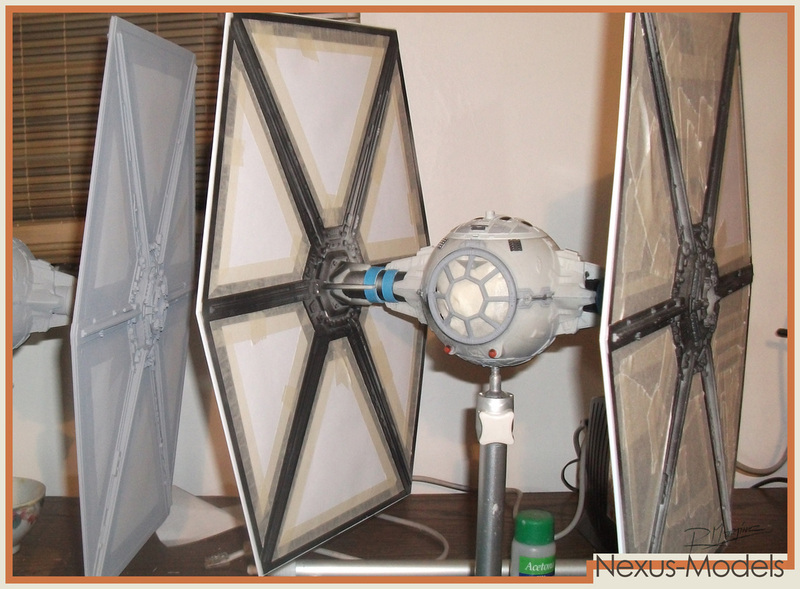 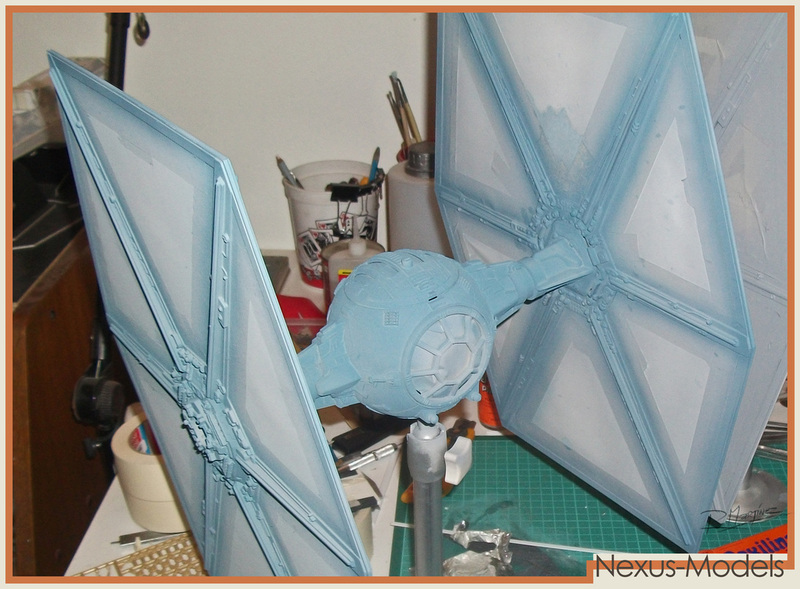 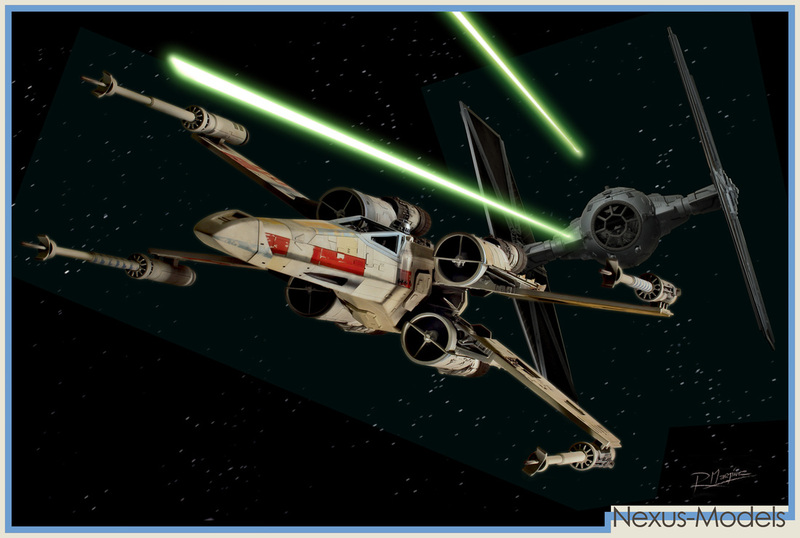 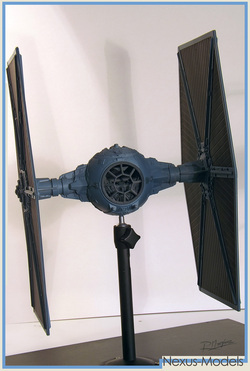 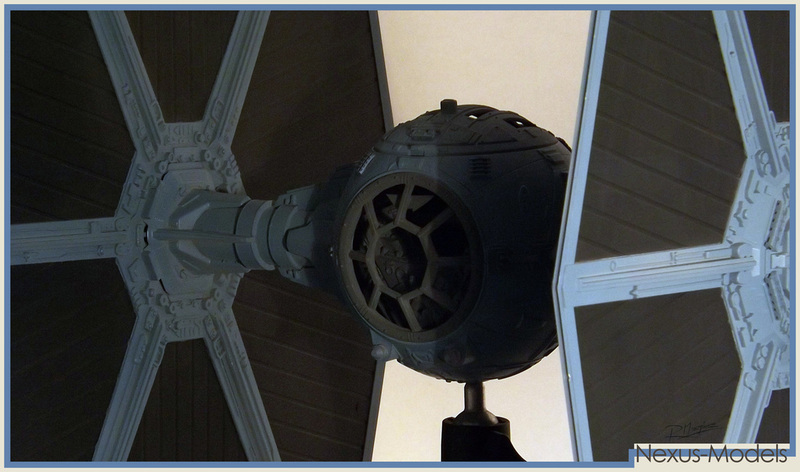 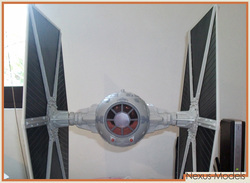 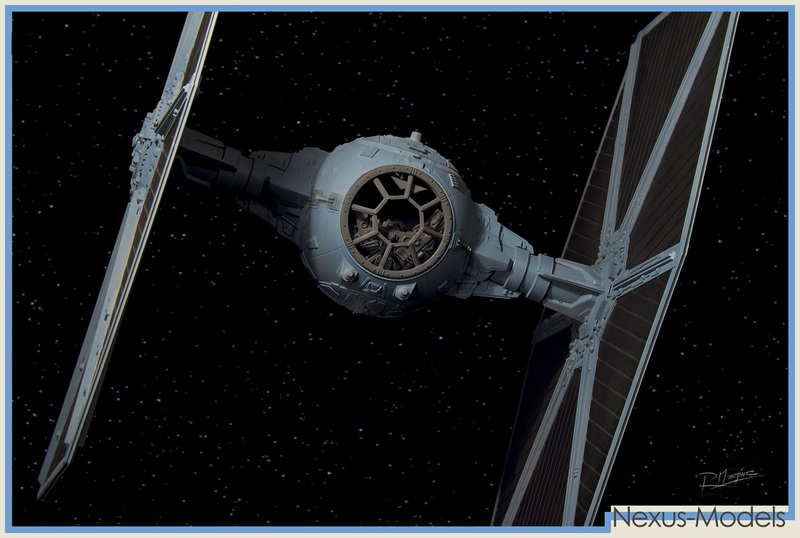 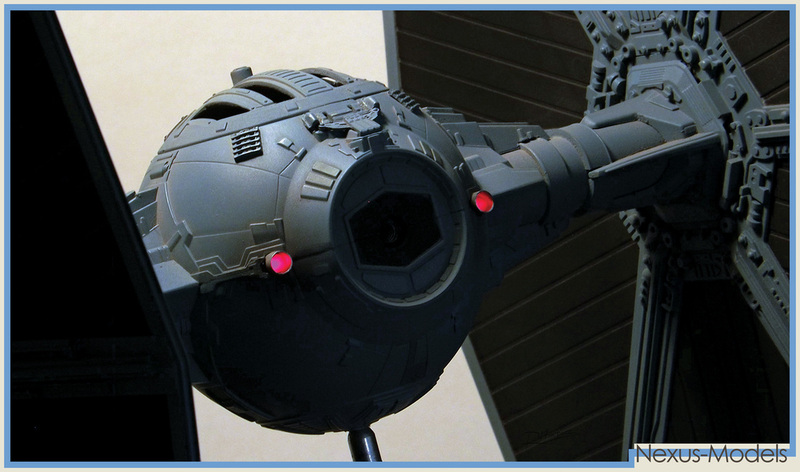 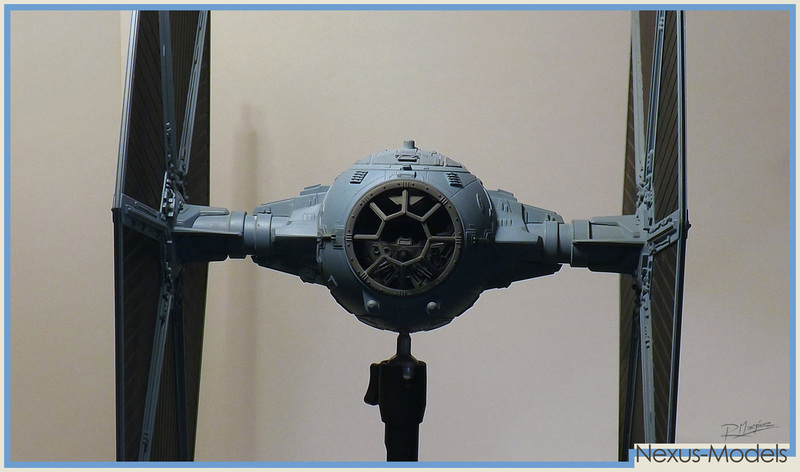 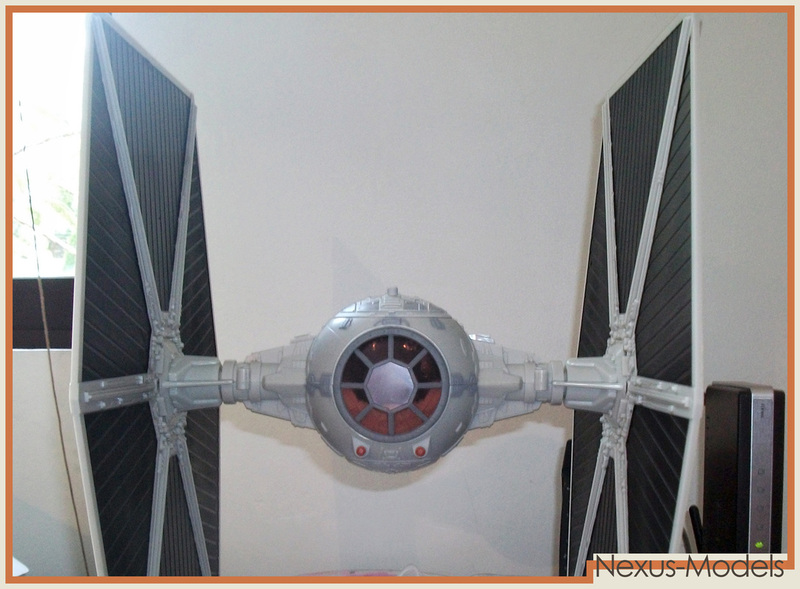 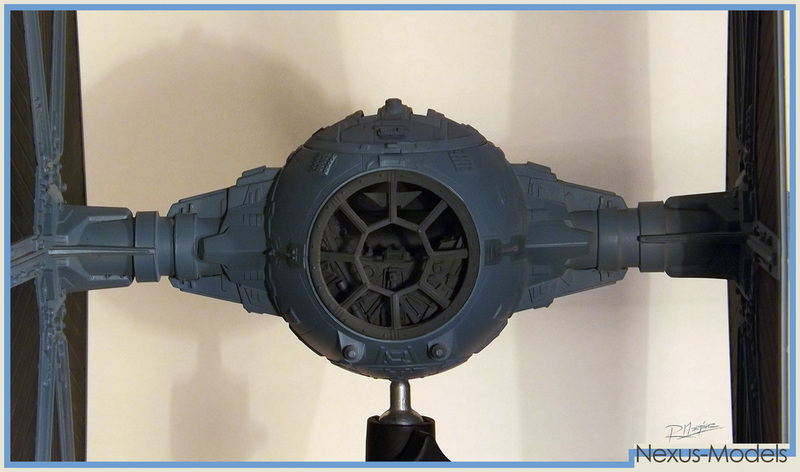 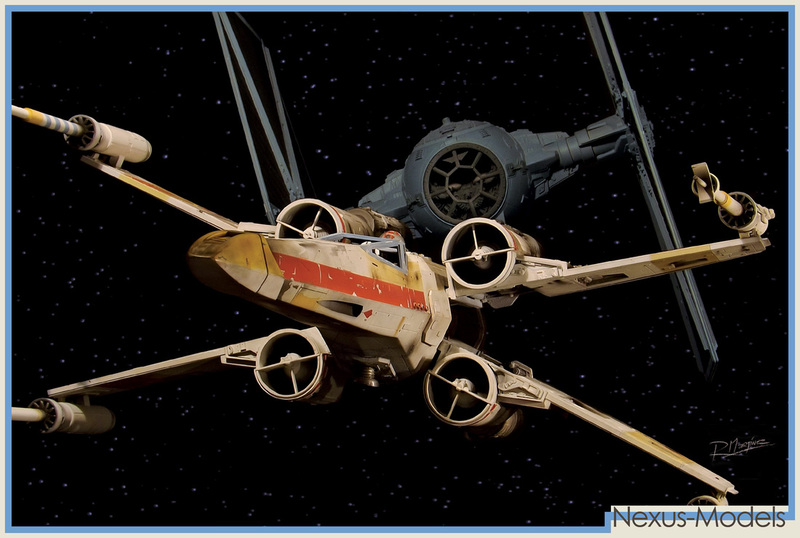 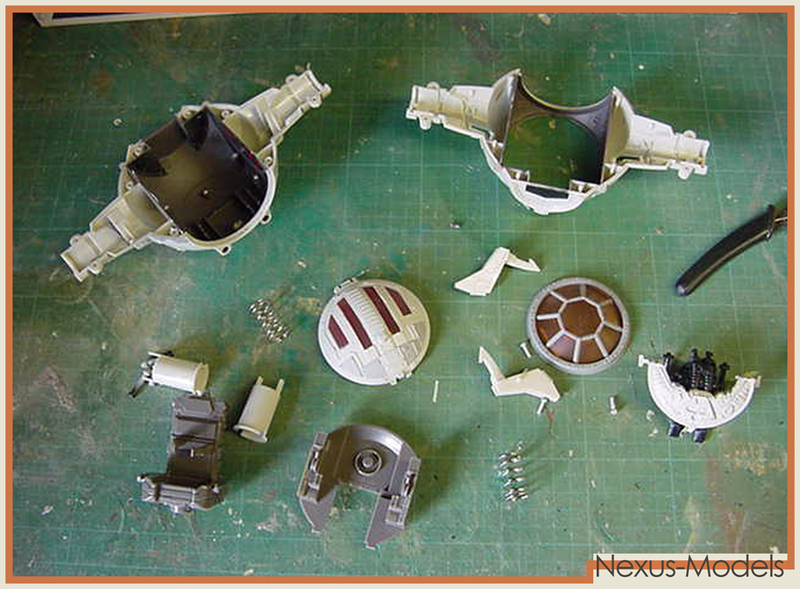 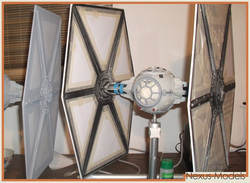 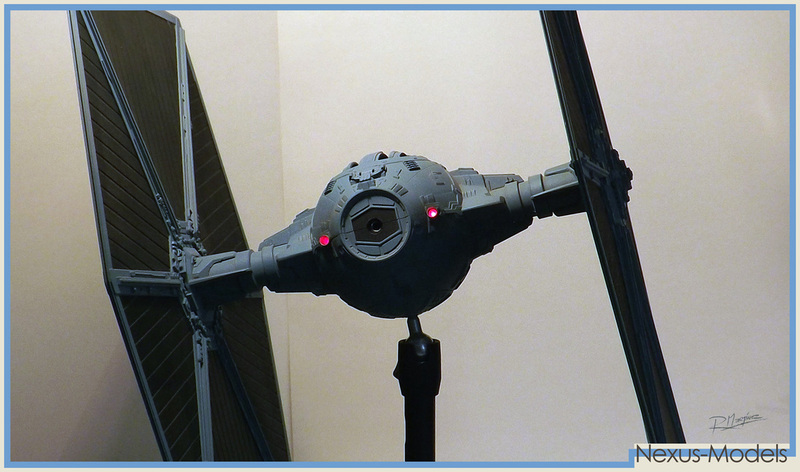 The TIE Fighter on the dogfight pics is a Hasbor Legacy TIE Fighter. 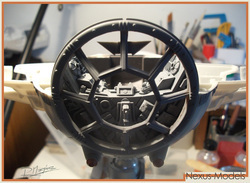 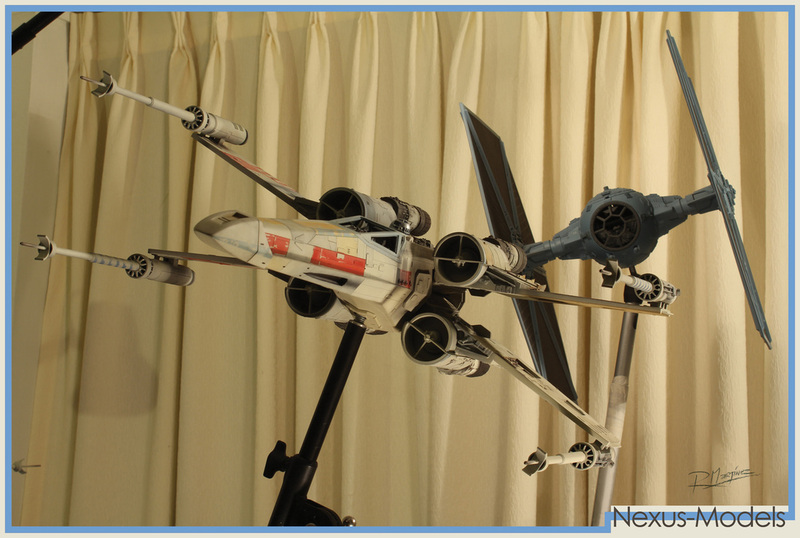 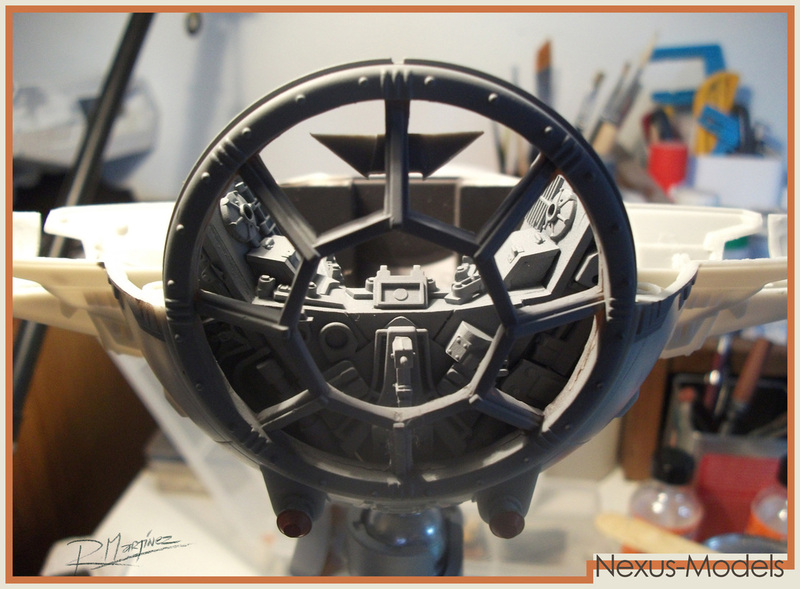 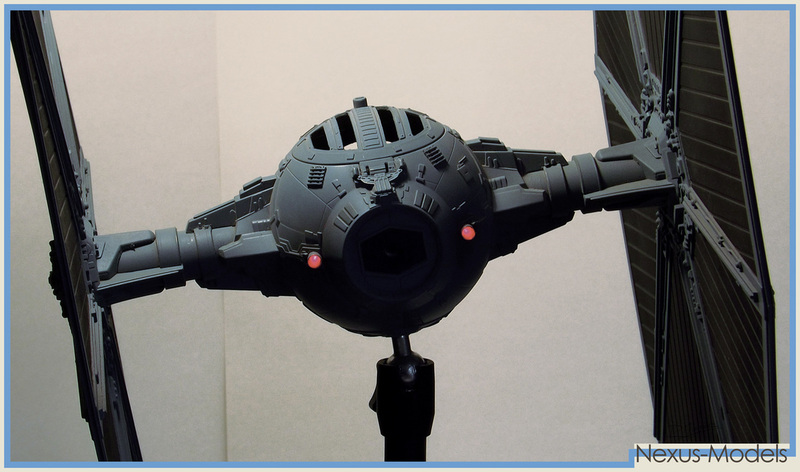 This toy was modified just for taking dogfight pics with the X-Wing models. 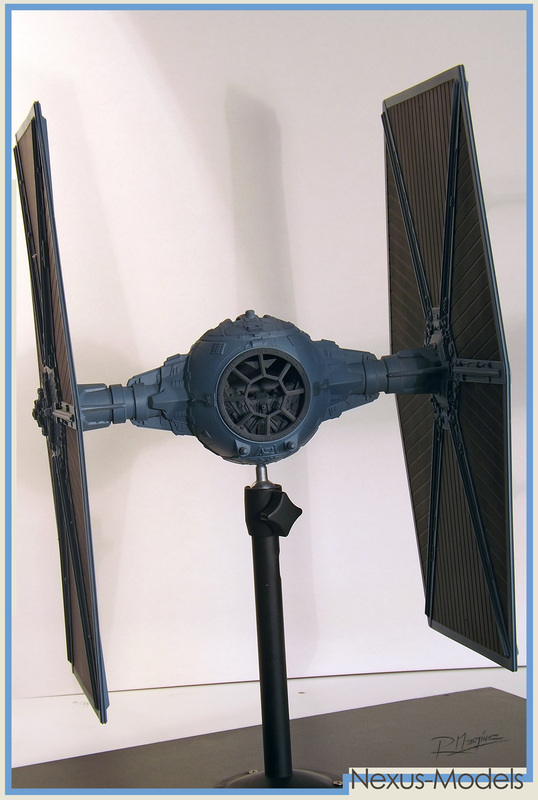 To build a studio scale TIE would have taken lots of time and money. 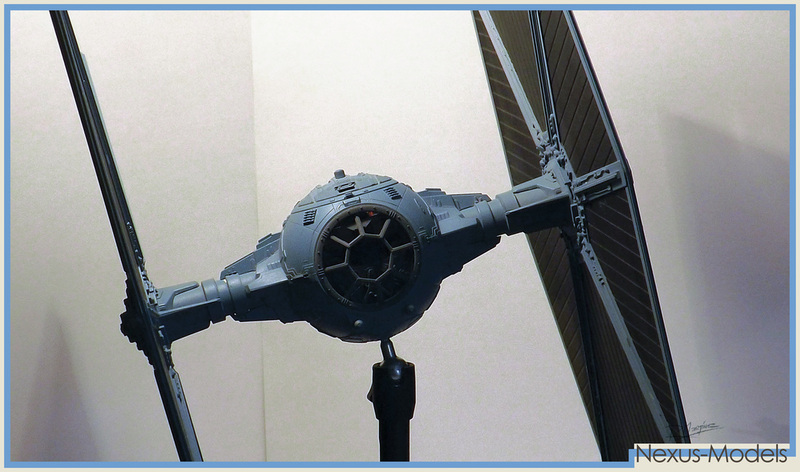 It is a project I would love to do, but for the moment, the beautiful Hasbro Legacy TIE, has enough presence for really cool dogfight shoots together with the Studio Scale X-Wings. 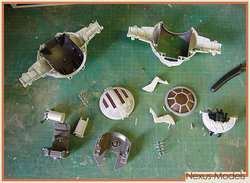 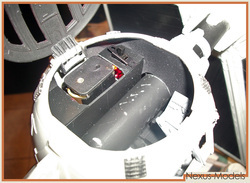 At the bottom of the page, there are some pics of the modification process. 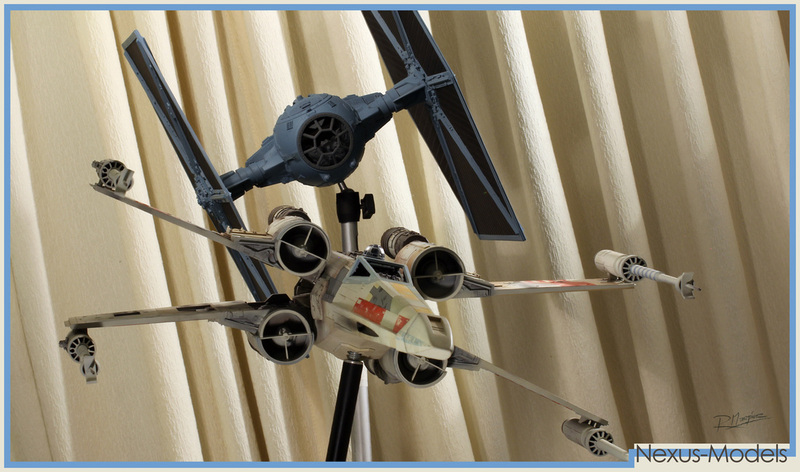 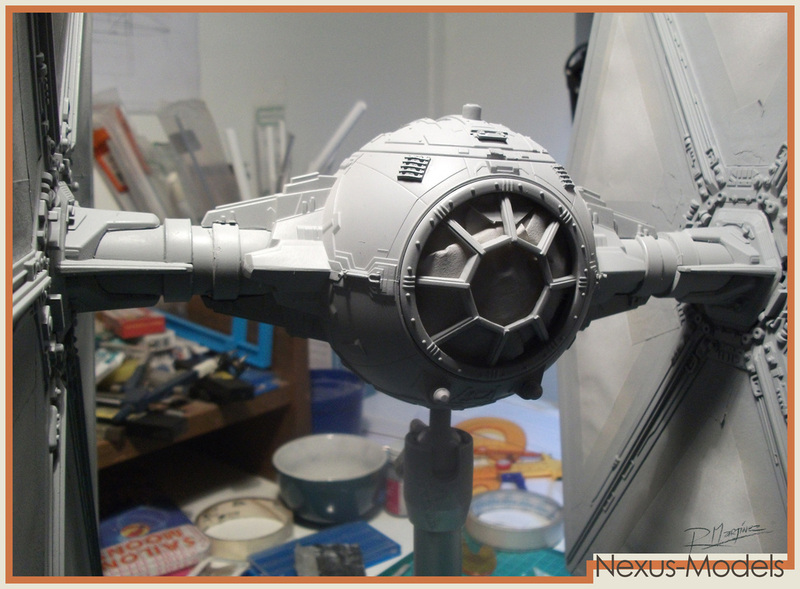 X-Wing Revisited RED-2 and Hasbro TIE Fighter.